Worlde of Legends™ is a pen and paper, tabletop, fantasy role-playing game currently under development. 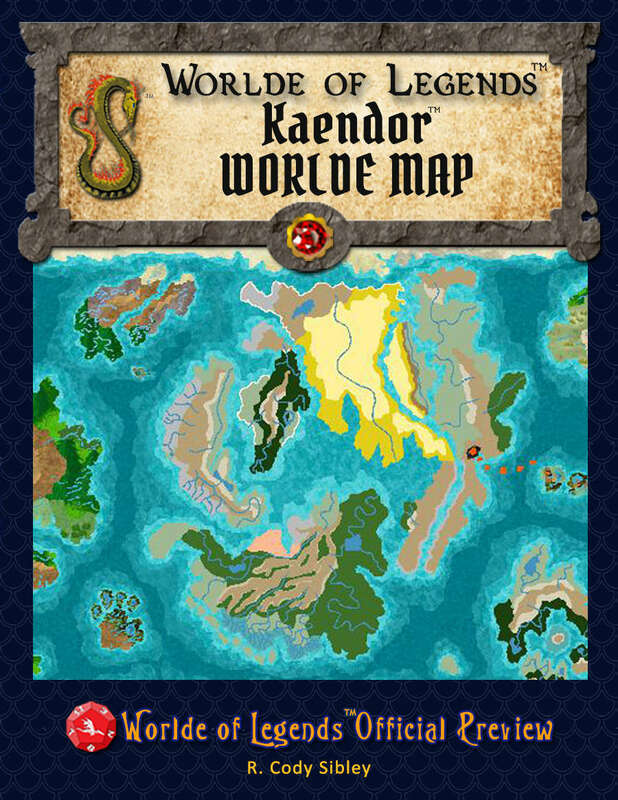 Check out the quick look at Kaendor, the Official Worlde of Legends™ Campaign Worlde Map updated in September, 2016 with more realistic terran and a switch from a Lambert projection to a Mercator projection. Also, keep an eye out for the Kaendor Mini-Atlas on DriveThruRPG! This game is still under the final stages of development and has been well play tested. Look for more previews every month and Easy Start LITE rules in Spring 2019. JOIN THE ADVENTURE!! !